The image does not do this piece justice. 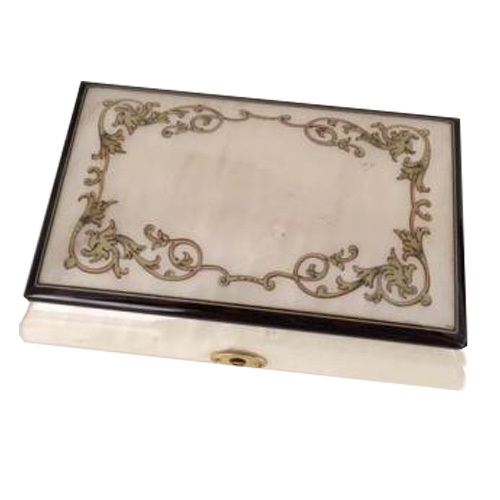 A Charming Baroque Pattern in gold or silver inlay delicately graces the lid of this Italian imported white music box. It features a small compartment for jewelry and measures 6.5" x 4.5" x 3.5." You may select your favorite tune from our 18 note tune list, just click on "Select Tune" next to "1.18 Tune List"
A Sophisticated Musical Box with a tune like "Wonderful World" or Pachable's "Canon in D" will make a perfect wedding gift!